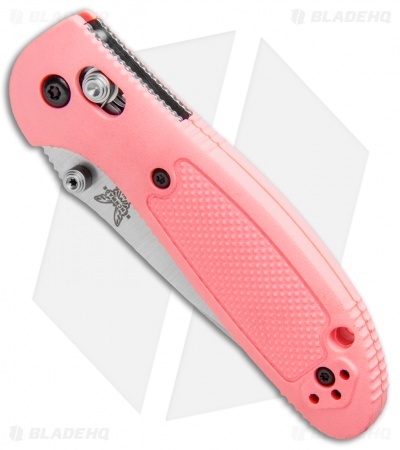 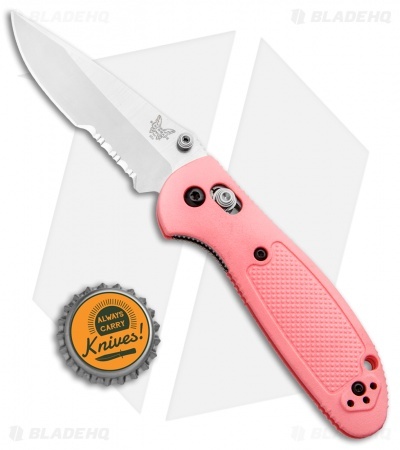 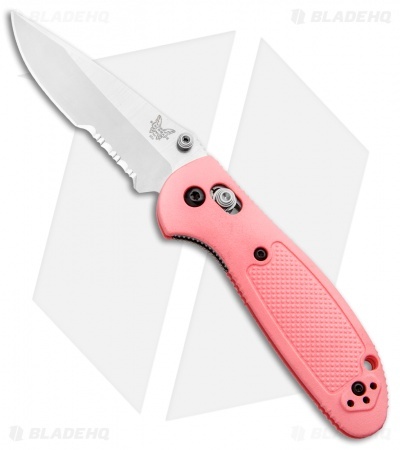 This Griptilian model is built with a pink handle and a satin finished drop point blade with a partially serrated edge. The Benchmade Griptilian is a no-nonsense daily carry knife that features strong and lightweight textured Noryl GTX handles. 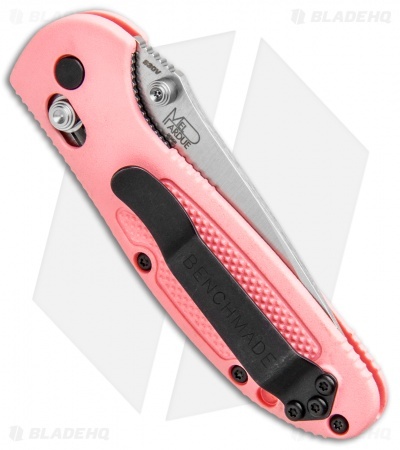 Double 420J stainless liners add strength and durability to the handle design. The AXIS lock mechanism makes the knife easy to open and easy to close for right and left handers. This model is outfitted with a drop point blade in a satin finish with a serrated cutting edge and dual ambidextrous thumb studs. Item includes a reversible stainless steel pocket clip for left or right side tip-up carry.